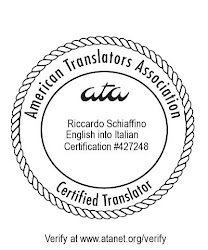 About Translation: 100,000 page views - Thank you! The page views counter for this blog was at 99,982 yesterday night. When I checked this morning it had reached 100,042. A big thanks to all of you who have been reading this blog! The next big goal is 100,000 visitors, but since at the moment the visitor's counter is at 56,576, I expect it will take another couple of years to get to the next big number. It's always insightful to read how you do and do not translate ambiguous texts.